Last month saw me take new works on paper to Brighton Art Fair. Where they were responded to well, with a good mix of feedback and sales. 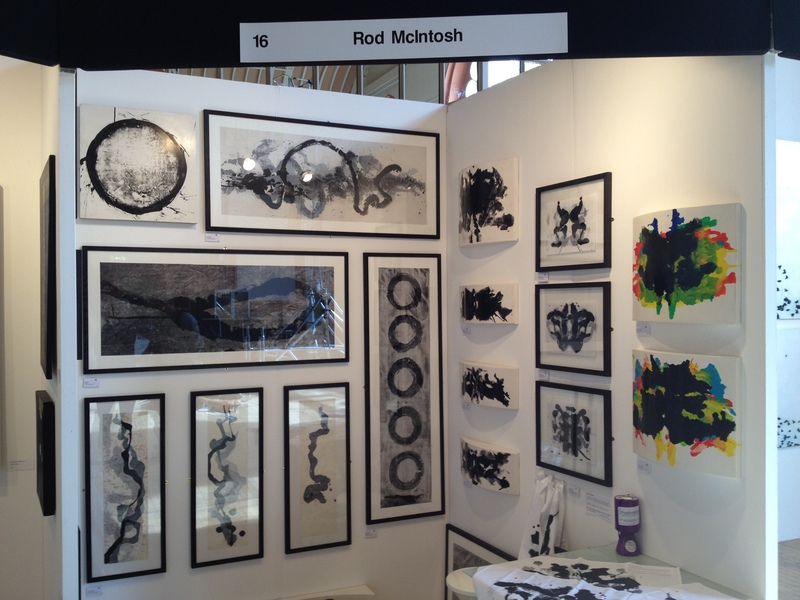 The monotone work hung well together in a familiar Royal Academy Summer Exhibition ‘salon’ style with an accent of colour from the Rorschach Blots. What I enjoyed about this years event was the change in format of the Thursday Private View. It felt considered and those in attendance were looking with a discerning eye to collect or to approach artists to have ‘that’ conversation. Less numbers in attendance meant space to step back and observe the work, to breathe and to connect with more time to give to each other. Without the ground swell of bodies creating an ‘Art Fair Travelator Experience’, enforcing only a transient glimpse of much of the work on display, whilst in motion. Rendering it to affordable wall covering. When some of the work exhibited requires a little more of the viewer it is encouraging to know Fair organisers are thinking about this experience aside the retail one. Thank you Brighton’s Jon, Anne-Marie and Sarah. I was struck by several artists work and pleased to see the Peer Prize being awarded to Tania Rutland. It was also great to see the new work by Catherine Jacobs a friend and colleague from Florence Trust days. And new Twitter pal and artist activist Maša Kepic exhibiting for the first time since 2009 at BAF. Stepping back into the studio this week, I take all the comments and enthusiasm with me as I approach making new work for the Not in Isolation Show in Soho, London in December. This will be a pop-up show in collaboration with another artist and will be across two venues in the heart of the West End. More details to be released over the coming weeks, check out the Events page on the website or join my mailing list (to the right) if you would like to receive an invite.